Just in case you haven't heard, the World Fishing Network (WFN) is looking for "Chicago's Best Angler" and Lewis Lazare did an awesome interview with WFN 's president and CEO Mark Rubinstein. The story ran in today's Chicago Sun-Times Here's the link: http://bit.ly/9fSYRI. Anglers are encouraged to go to WFN's new Chicago website: www.wfnchicago.com and tell them why you deserve to be named the "best" here. The winner will get to enjoy a day of fishing with former Chicago Cub and Hall of Famer Andre Dawson, $1,000 and other goodies. Hawk fans, mark your calendar. He will be doing an autograph signing at the Bass Pro Shops in Bolingbrook on March 19 in conjunction with this promotion! Are you familiar with WFN? It's the only 24 hour television network dedicated to fishing. WFN’s high definition channel, WFN HD, is available in the Chicago area on DISH Network (channel 394) and AT&T U-verse (channel 1679). It isn't yet available here on Comcast or DirecTV. Comcast and DirecTV subscribers, you may want to go to the WFN site as there's a place where you can urge your cable carrier to carry it. Anglers who like to write and blog? WFN is also looking for ambassadors to provide content to the website. For more info, check out the website or read today's Sun-Times. A big shoutout to Lewis Lazare who wrote an excellent story. Thanks again Lewis! 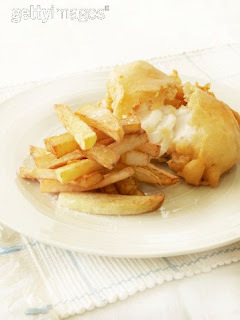 Still deciding on dinner plans this weekend? Come in to Glen Prairie (1250 Roosevelt Rd., Glen Ellyn, Ill. 630-613-1250) after 5 p.m. this weekend for BBQ Glazed Salmon served with Wild Rice Pilaf, Miso BBQ Glaze and Baby Carrots for $21 or try the Butternut Squash Ravioli served with Roasted Tomatoes, Sweet Peas, wild Mushrooms and Truffle Cram Sauce for $18. Specials available Friday, Feb. 26 and Saturday, Feb. 27. WFN: World Fishing Network, the nation’s only 24-hour fishing lifestyle TV channel, enters the Chicago market in a major way today. 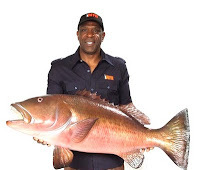 With the help of former Chicago Cub and avid fisherman—and soon to be Hall of Fame inductee—Andre Dawson, WFN is making its presence felt with the launch of a Web site dedicated to finding Chicago’s Best Angler at http://www.wfnchicago.com/. Dawson, an avid fisherman who played six years with the Cubs and won the NL MVP with the club in 1987, will pick the lucky angler, who will win the “fishing trip of a lifetime” with Dawson to a fishing hole to be determined. The winner and Dawson will have their fishing adventure covered by a WFN crew, and it will air on the network, giving the lucky winner a rare chance to appear on national television. The grand prize also includes $1,000 in cash and WFN merchandise. WFN’s high definition channel, WFN HD, is available in the Chicago area on DISH Network (channel 394) and AT&T U-verse (channel 1679). Chicago and area fans are encouraged to go to http://www.wfnchicago.com/ to enter for their chance to win. To bolster their chances of winning, entrants are encouraged to make sure their friends and family “rate” their entry on the site. Entrants are also encouraged to promote their entry on Facebook, Twitter and other social media sites, to help garner support. 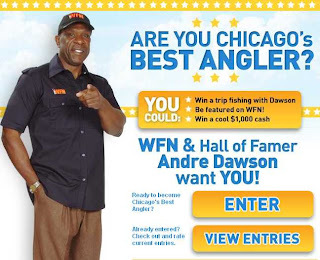 To enter, fans must tell the network and Dawson in 200 words or less what they love about fishing in the Chicago area and why they are Chicago’s best angler. Entrants are also encouraged to include a photo with entry. Dawson will select the winner, to be announced in late April. The site also includes blogs from local anglers, photos and video content, all relevant to anglers in the area. As part of the promotion, fans will get a chance to meet and get an autograph from Dawson on March 19, 2010. He’ll join the WFN team at Bass Pro Shops to host an autograph signing at the Bolingbrook Bass Pro Shop location at 709 Janes Ave., Bolingbrook; (630) 296-2700. Anglers and fans who visit the store during the event will meet their baseball hero, receive a special autographed Dawson photo, and have the opportunity to sign up for the contest. WFN already has become a popular channel in other surrounding fishing markets, launching on Charter in Wisconsin, a popular fishing destination for many Chicagoans. Xfinity (Comcast) has added WFN to its lineup in Michigan markets such as Detroit, Grand Rapids, Lansing and Flint. WFN is also available nationally on satellite TV provider DISH Network, AT&T U-verse, Charter Communications, Verizon Fios among other distributors. WFN: World Fishing Network is the only 24/7 television network dedicated to all segments of fishing with programming that covers instruction, tips, tournaments, travel, food, boating, outdoor lifestyle and more. WFN’s wide-ranging programming lineup includes primetime theme nights, regional bureaus from across the nation, a selection of the best international series and the most diverse species coverage of any TV channel. Featuring popular programs hosted by the world’s top anglers, the network also delivers a weekly news program, WFN News, and the schedule includes a variety of exclusive lifestyle shows including Hookin’ Up with Mariko Izumi and WFN’s Reel Road Trip. WFN also delivers the beauty of fishing in stunning High Definition with WFN HD, a separate network that delivers 100 percent High Definition programming 24/7. Originally launched in December 2005, today WFN and WFN HD are available in more than 20 million households through North American cable, satellite and telecommunications distributors. In the U.S., distributors include AT&T U-verse, Charter Communications, Comcast, DISH Network and Verizon FiOS. For more information, visit http://www.wfn.tv/. Editor’s note: Mark Rubinstein, President & CEO of WFN will be available for telephone interviews leading up to the event, as well as in-person interviews March 19. Mr. Dawson will be available on March 19 for interviews and media appearances regarding WFN. To arrange these opportunities, or for more information about WFN, please telephone Catherine Patterson or Cindy Kurman at Kurman Communications, Inc. at (312) 651-9000 or send an email to kurmanstaff@kurman.com. The Culinary Historians of Chicago present “The Bittersw eet History of Chocolate in France” at 10 a.m. on Saturday Feb. 20 at Lexington College (310 S. Peoria St., Chicago). Explore the history and evolution of chocolate in France with award-winning master sugar artist, teacher and judge Mark Seaman. Learn about the oldest chocolate houses in France and their connections to the kings of France and Marie Antoinette. 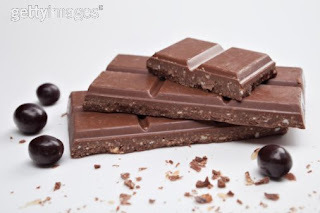 Discover the different types of chocolate and how chocolate bars derive from beans. A sampling of chocolates from the French Pastry School of Chicago are included. Chef Mark Seaman teaches in the Professional Cake Decorating and Baking Program at the French Pastry School in Chicago. Seaman has received many awards for his work and has been featured on The Food Network and The Travel Channel. To reserve your spot today call (708) 788-0338 or e-mail rsvpchc@yahoo.com. Tickets are $5 for the public, $3 for students and there is no charge for Culinary Historians of Chicago members and Lexington faculty and students. Chicago Foodways Roun dtable presents “The History of the First Stomach” by Barbara Kuck at 10 a.m. on Saturday Feb. 27 at Kendall College (900 N. Branch St., Chicago). 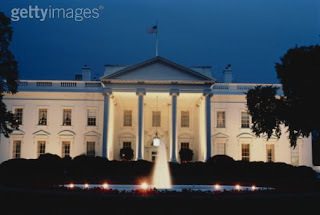 Documents from Szathmáry Family Culinary Collection’s United States Presidential Autograph Collection assist in the discussion of Presidential family eating and dining habits. Anecdotes from past Presidents support the discussion with stories ranging from childhood homes, battlefields, to the White House kitchens. Tickets are $3 per person and free to Kendall students and faculty with ID. Barbara Kuck is a Culinary Historian and chef involved in many culinary organizations and the recipient of many awards including the Food Arts magazine Silver Spoon Award and Culinary Ambassador for the American Culinary Federation. To reserve your ticket today, call (847) 432-8255 or e-mail Chicago.foodways.roundtable@gmail.com. Please include your name, telephone number and the number of people in your party. 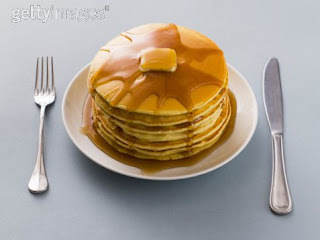 Fans of breakfast will love National Pancake Week next week, February 15-19 and to celebrate Glen Prairie (1250 Roosevelt Rd., Glen Ellyn, Ill.; 630-613-1250) celebrates with a new pancake every day in its breakfast buffet, just $14 per person. The breakfast buffet is available 6 a.m. to 11:00 a.m. Monday - Friday and 7:00 a.m. to 11:00 a.m. Saturdays and Sunday. 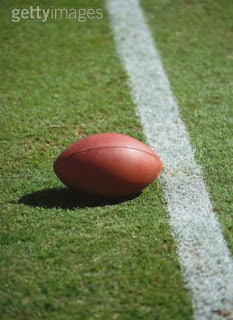 For reservations or more information call (630) 613-1250 or visit www.glenprairie.com. The Poetry Foundation is pleased to announce the first report of the Harriet Monroe Poetry Institute (HMPI). In 2009, the Institute convened a panel of poets, publishers, and experts from the fields of media, law, and technology to examine issues related to the access of poetry on the Internet and related new media. As a result of the study, the HMPI has released a white paper intended to help poetry come more effectively into new-media outlets so that it will be more accessible to various audiences. The white paper’s recommendations are intended for use by poets and others in the poetry community as a tool to help them rethink their relationship to copyright and fair use and thus to develop permissions practices that allow the greatest possible access to poems while still protecting the rights of creators. The report also includes recommendations intended to help the poetry community use new media for poetry education. The full report is available for free download at www.poetryfoundation.org/foundation/poetryinstitute.html . In order to maintain the value of accessibility as a top priority, the report provides a list of questions that poets and rights-holders can ask themselves when making licensing and permissions decisions. Finally, the report recommends that leading poets and poetry organizations work together to create a central online portal or aggregating website through which educators and others interested in learning more about poetry can find the best existing poetry websites. This last recommendation reflects a chief concern of the HMPI's inaugural report, the need for poets and poetry organizations to work together to achieve common goals. A policy forum dedicated exclusively to issues of intellectual and practical importance to poetry, the Institute, named for Poetry magazine founder Harriet Monroe, has as its purpose to convene interested parties to identify issues and champion common solutions for the benefit of poets and the art form of poetry. Advisors on the Institute’s new-media project included poets Michael Collier, Wyn Cooper, Rita Dove, Cornelius Eady, Kimiko Hahn, Lewis Hyde, Robert Pinsky, Claudia Rankine, and Alberto Ríos; publishers Kate Gale, Fiona McCrae, and Don Selby; nonprofit administrator David Fenza; computer scientist Rick Stevens; and law professors Jennifer Urban and Monica Youn. In addition, the HMPI has announced its second project, POETRY ALIVE: Bringing Poetry into Communities, to be published in 2011, which will comprise essays by 10 poets with national and international reputations discussing important programs and vehicles for bringing poetry into specific communities. In addition to the essays and building from them, the book will include an appendix, which will draw from the strategies discussed in the essays and will serve as a kind of flexible toolkit for people and organizations interested in bringing poetry to their own communities. Poets to be included in the project include Robert Hass, Elizabeth Alexander, Patricia Smith, Luis Rodriguez, Bas Kwakman, Lee Briccetti, Alison Hawthorne Deming, Dana Gioia, Anna Deavere Smith, and Thomas Lux. For more information on the Harriet Monroe Poetry Institute, please visit www.poetryfoundation.org/foundation/poetryinstitute.html. The Harriet Monroe Poetry Institute is an independent forum created to provide a space in which fresh thinking about poetry, in both its intellectual and its practical needs, can flourish free of any allegiance other than to the best ideas. With this in mind, the Institute convenes leading poets, scholars, publishers, educators, and other thinkers from inside and outside the poetry world to address issues of importance to the art form of poetry and to identify and champion solutions for the benefit of the art. The 48th Annual O'Reilly Auto Parts World of Wheels held March 5-7, 2010 at its new location, the Donald E. Stephens Convention Center (5555 N. River Road, Rosemont, Ill.), is positioned to be the largest show in the event's long running history. This year's show, presented by Denny Guest's South Oak Dodge-Chrysler-Jeep and produced by Championship Auto Shows, Inc. hosts 500 of the country's best custom and restored cars. The show is open 3 p.m. - 10:30 p.m. Friday, March 5; 10 a.m. - 10:30 p.m. Saturday, March 6; and 10 a.m. - 7 p.m. Sunday, March 7. Admission is $16 per person, $5 for children ages 6-12 and discount tickets can be purchased at any Chicago area O'Reilly Auto Parts retailer. "As we anticipated, the move from Chicago's McCormick Place to the Rosemont venue has provided us with more space this year," says Pete Toundas, president of Championship Auto Shows. "Already the oldest and biggest auto enthusiast event in Chicago, we expect the show to be the largest in the show's history. The additional space has allowed us to showcase more cars and offer new special exhibits." 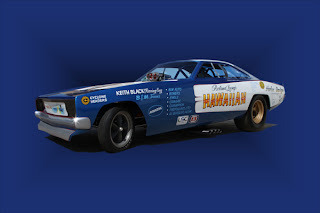 The O'Reilly Auto Parts World of Wheels is a weekend to remember with new features like Drag City USA, presenting a unique exhibit of nostalgic dragsters from The Don Garlits Museum of Drag Racing in Ocala, Fla. Among them are Garlits' personal collection of "swamp rats," Connie Kalitta's "Bounty Hunter" and Don Prudhomme's 1970 Wynn's Winder, known as "The Snake," which some may remember as a Hot Wheels car. 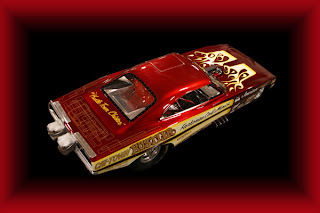 The dragster exhibit also features the Chi-Town Hustler and Hawaiian Funny Cars from Greg Mosley's Mopar Museum Moline, Ill. Formerly a show in itself, the popular Chevy VetteFest also is a new addition to the O'Reilly Auto Parts World of Wheels, where the ultimate in original and restored Corvettes and Chevrolets compete for the Gold Spinner and Triple Crown Awards. Guests can also enjoy 30-minute shows from the WheelieShow.com's Streetbike Freestyle Stunt Team. The high-energy, breathtaking shows are held multiple times each day of the three-day event. Celebrity appearances are always a popular feature at the O'Reilly Auto Parts World of Wheels. The Celebrity Showcase, presented by Super Start Battery, features an all star line up including WWE Women's Champion Melina Perez (Melina) from 7 p.m.-9 p.m. Friday, March 3. Joining the line up this year is also Chip Foose, legendary auto designer and star of "Overhaulin" on TLC who appears at the show from 1 p.m.-4 p.m. and 7 p.m.-9 p.m. on Saturday, March 6. The kids will be happy to know that Disney actress Brenda Song from "The Suite Life of Zack and Cody" and "Suite Life on Deck" joins the celebrity showcase from noon-5 p.m. on Sunday, March 7. Returning this year are popular exhibits including Cycle Rama, featuring more than 100 of the nation's best custom built choppers; and MotoRama, showcasing traditional rods and customs including cars from the well-known "VooDoo Larry." Throughout the weekend, cars compete for the prestigious Legend Cup, sponsored by CleanTools. This award is given to the winning vehicle which best represents a combination of style, quality and craftsmanship during the O'Reilly Auto Parts World of Wheels weekend. The winner of the CleanTools Legend Cup is awarded a beautiful perennial cup and presented with a check for $5,000. O'Reilly Auto Parts World of Wheels also hopes to combine the worl ds of auto and art with the Chicago Brushmasters "Kustom Kulture Automotive Art Auction." This live charity auction features several hundred professionally decorated pieces from artists around the country, and all proceeds benefit the Ronald McDonald House. The charity auction will have a special display of NHRA driver Ashley Force's professional race car. 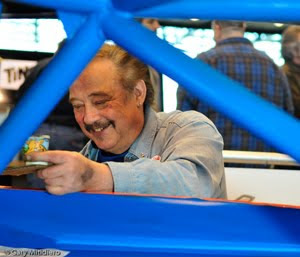 At 6:45 p.m. on Saturday, March 6, the Chicago Brushmasters present legendary sign artist Art Dexter with the "Frank H. Atkinson Lifetime Achievement Award" for his innovation, mentoring and inspiration to the pinstriping community. Committed to educating future generations about the automotive industry, the 5th Annual O'Reilly Auto Parts World of Wheels Student Day is held Friday, March 5 at the Donald E. Stephens Convention Center. Participating students visit the show floor to see the vehicles and speak with sponsors and exhibitors before the event opens to the public, as well as earn complimentary access to all parts of the three-day show. "Championship Auto Shows is committed to providing the best experience possible at the O'Reilly Auto Parts World of Wheels show," says Toundas. "We are confident the new features this year will please our guests new and old, and the show will continue to be Chicago's largest auto enthusiast event." The 48th Annual O'Reilly Auto Parts World of Wheels, presented by Denny Guest's South Oak Dodge-Chrysler-Jeep is produced by Championship Auto Shows, Inc. of Auburn Hills, Mich. Part of the International Show Car Association custom car competition, the show takes place March 5-7, 2010 at Donald E. Stephens Convention Center (5555 N. River Road, Rosemont, Ill.). The event hours are Friday, 3 p.m. to 10:30 p.m., Saturday, 10 a.m. to 10:30 p.m. and Sunday, 10 a.m. to 7 p.m. Discount pre-sale tickets can be purchased at O'Reilly Auto Parts. For more information, visit www.worldofwheels.com or www.worldofwheels.wordpress.com. Tweeting updates can be found at @WorldofWheelsIL. In honor of its 75th anniversary, Erie-LaSalle Body Shop is hosting a charity event "A Night in Support of Haiti" 5:30 p.m.-9 p.m. Friday, Feb. 26 at Martini Park (151 W. Erie St.). Guests enjoy complimentary appetizers and an open bar with a $40 advance admission fee ($50 at the door), from which 100 percent is donated to Partners in Health, a charity that has been working on the ground for more than 20 years. "As soon as I heard of the tragedy in Haiti, I felt compelled to my lend support. I was already planning Erie-LaSalle's 75th anniversary party, so it seemed like a great opportunity to tie the two together," says Erie-LaSalle Body Shop's owner Bob Gottfred. "Partners in Health is a natural fit for me because they have been established in Haiti for two decades. As a longtime business owner myself, I know the importance of going to someone you can trust." Erie-LaSalle has been repairing and servicing vehicles at its Erie and LaSalle Street location since 1934, establishing itself as Chicago's premier auto repair shop. Attendees are encouraged to RSVP to the event early by visiting www.erielasalle.com/haiti, although admission can be paid at the door for an additional $10. Admission includes an open bar with beer, wine and cocktails including four specialty martinis like the Erie-LaSalle Body ShopTini and Strawberry Basil Martini. Passed appetizers are provided during the event. Guests have an opportunity to win raffle prizes, and Martini Park's signature live band plays throughout the night. Partners in Health (PIH) has been established in Haiti for more than 20 years. In addition to their efforts in Haiti, PIH works to bring modern medical care to poor communities in eight other countries around the world. The work of PIH has three goals: to care for patients, to alleviate the root causes of disease in communities and to share lessons learned around the world. To learn more visit http://www.standwithhaiti.com/. 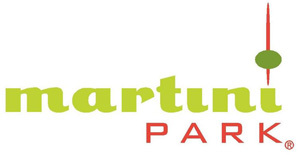 Martini Park, Chicago’s “Playground for Grownups”, debuted in Chicago in July 2007 at 151 W. Erie St. in River North. This unprecedented upscale lounge concept features a variety of live music every night, highly-acclaimed signature martinis and cocktails, as well as sharable plates of delectable food items, all within an atmosphere of world-class design. Specialty offerings include the Cucumber Martini, Strawberry Basil Martini, Apple-tini, Smoked Salmon Poppers and Kobe Beef Sliders. Martini Park’s team of seasoned professionals serves each guest with impeccable attention to detail, providing the highest standards in hospitality and service. Martini Park is open Monday – Friday 5 p.m. to 2 a.m. and Saturday 5 p.m. to 3 a.m.
Erie-LaSalle Body Shop is located at 146 W. Erie St. in Chicago. Valet parking is available. All proceeds from the 75th anniversary charity event go directly to Partners in Health. 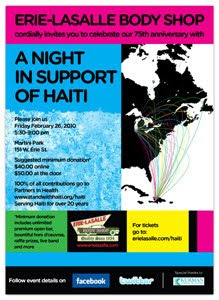 For more information about "A Night in Support of Haiti," please call (312) 337-3903 or visit www.erielasalle.com/haiti. Save the date! In honor of its 75th anniversary, Erie-LaSalle Body Shop is hosting a charity event "A Night in Support of Haiti" from 5:30 p.m. - 9 p.m. Friday, Feb. 26 at Martini Park (151 W. Erie St.) Guests enjoy complimentary appetizers and an open bar with a $40 advance admission fee ($50 at the door), from which 100 percent is donated to Partners in Health, a charity that has been working on the ground for more than 20 years. Admission includes an open bar with beer, wine and four specialty cocktails, like the Erie-Salle Body ShopTini and Strawberry Basil Martini. Passed appetizers and a buffet are also included. Partners in Health (PIH) has been established in Haiti for more than 20 years. In addition to their efforts in Haiti, PIH works to bring modern medical care to poor communities in eight other countries around the world. The work of PIH has three goals: to care for patients, to alleviate the root causes of disease in communities and to share lessons learned around the world. 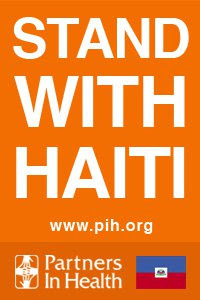 To learn more, visit www.standwithhaiti.com. Erie-LaSalle Body Shop is located at 146 W. Erie St. in Chicago. 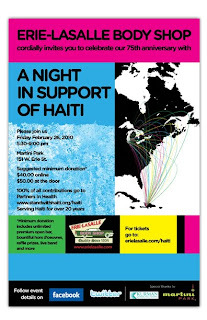 For more information about "A Night in Support of Haiti," please call (312) 337-3903. And don't forget to mark the date in your calendar! Gary Hirshberg, President and CEO of Stonyfield Farm, discusses how being green can be good for the bottom line and the planet. Discover the gateway to fresh and insightful films focused on sustainability and nature. From arctic animals to electric cards, explore a variety of topics that connect you to the natural world. Feb. 20 features a screening of 'National Parks: America's Best Idea,' which includes a special reception and guest speaker. This compelling photography exhibition sheds light on the complexity of our global food system by allowing visitors to see the origins of coffee. The exhibition is oganized by The Image Expedition and is sponsored by Intelligentsia Coffee and Tea. Animal lovers can watch a great white shark capture its prey, follow penguins as they glide beneath the ice, and experience an ocean voyage with seals. Crittercam is sponsored by Motorala Foundation, Challenger, Gray & Christmas, Inc., Sidley Austin LLP, and Solomon Cordwell Buenz. Receive a special discount when you register for the museum's Slumber Party Science Overnight, which takes place Friday, March 19 - Saturday, March 20. The special cost is $30/child, $20/adult (members), or $35/child, $25/adult (non-members). For more information, call (773) 755-5111, ext. 7, or e-mail overnights@naturemuseum.org. The museum's two-week programs connect children (ages 4-10) to the wonders of nature through art, storytelling, movement, music, acting, hands-on science activities and live animal encounters. 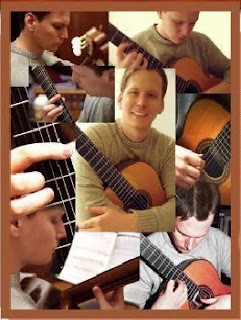 2010 Summer Camp sessions begins June 21 and run through August 16. Enjoy the popular farmer's market with seasonal produce, meats, baked goods, and cheeses in the museum's South Gallery. This month's theme, Meat and Potatoes, features a variety of demonstrations from local chefs. For a full list of upcoming events, visit the museum's site. This entry is part of Kurman Communications' Free Release Tuesdays series. 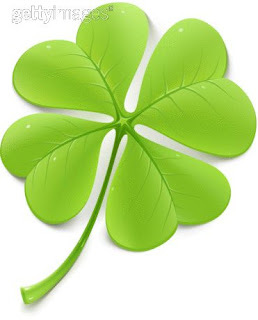 Are you a non-profit or charity with an upcoming event? Let us help promote it with our new service, FRT- Free Release Tuesdays. Haiti still needs our help, and this week is your chance to raise money for a good cause while having a good time. Head to Unite 4 Haiti: One City. One Promotion. 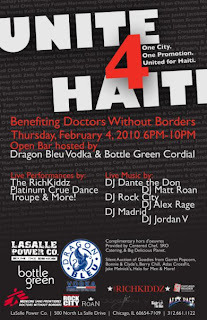 United for Haiti, benefiting Doctors Without Borders, 6 p.m. - 10 p.m. Thursday, Feb. 4 at LaSalle Power Co. (500 N. LaSalle St., Chicago; 312-661-1122). With a $20 donation at the door, enjoy live music by: DJ Billy the Kid, DJ Dante the Don, DJ Matt Roan, DJ Rock City, DJ Jordan V, and DJ Alex Rage, including live performances by Chicago's own The RichKiddz, Platinum Events' "Platinum Crue" Dance Troupe, and more. The hosted bar by Dragon Bleu Vodka and Bottle Green Cordial, with cocktails mixed by guest bartenders: D.C. Crenshaw, host of "Game Time Dine," Natalie Getz, ABC's "The Bachelor," Ginger Zee, Weather Anchor for NBC 5 Chicago, Ryan Chiaverini, Sports Reporter/Anchor for ABC 7 Chicago, Jason Erkes, Chicago Sport & Social, and Justin Jacobson, Platinum Events. NBC 5 Chicago's Natalie Martinez emcees the event, with complimentary hors d'oeuvres provided Centered Chef, SRO Catering and Big Delicious Planet and cocktails included in the admission price. Unite 4 Haiti is selling 45 tables and fewer than half of those ramind. Table cost is $250, which includes entry for up to 6 guests and 1 bottle of Dragon Bleu Vodka and mixers. For table reservations, contact Justin at Platinumevents@me.com. 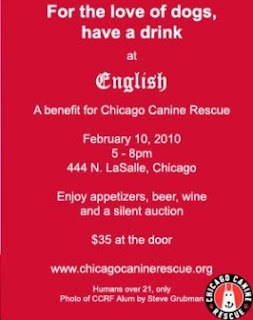 The event also features an SMS Silent Auction of goodies donated from Garrett Popcorn, Jake Melnick's, Atlast CrossFit, Halo for Men, Bonnie & Clyde's, Berry Chill, Windy City Social, AD Edwards, ChicagoPhotoShop.com and LA Fitness. Memento Photobooth provides a photobooth for the event to document the occassion. Doctors Without Borders i the largest non-government organization operating in Haiti, most recently operating three emergency hospitals in Port-au-Prince. Their immediate response in the first hours following the disaster in Haiti was only possible because of private unrestricted donations from around the world received before the earthquake struck. For more information or to donate online, visit http://doctorswithoutborders.org/. This is the first in Kurman Communications' Free Release Tuesdays series. Are you a non-profit or charity with an upcoming event? Let us help promote it with our new service, FRT- Free Release Tuesdays.